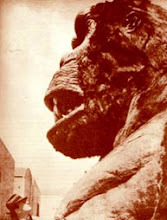 Hollywood Gorilla Men: E-Gor's gorilla Goodies !....Yakima Canutt and Mogambo ! 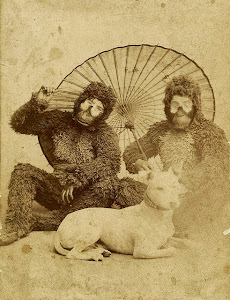 E-Gor's gorilla Goodies !....Yakima Canutt and Mogambo ! E-gor's outdone himself with this installment of EGG ! One of the most seamless integrations between real gorillas, and "reel gorillas" prior to Gorillas in the Mist was the 1953 adventure thriller MOGAMBO ! While filming in Africa, the second unit footage featuring real gorillas was directed by legendary stunt man extraordinaire, Yakima Canutt ! Yak carefully integrated the live ape footage ( including some rather pissed off gorillas going on the attack ) with skillfully orchestrated stunt footage of men in very convincing gorilla suits. The gorillas were attacking star Clarke Gable, who would shoot the rampaging beast while the diving from the brush within just a few feet of him. The inter cuts between real and artificial gorillas was so well edited that it was nearly impossible to detect the change overs. 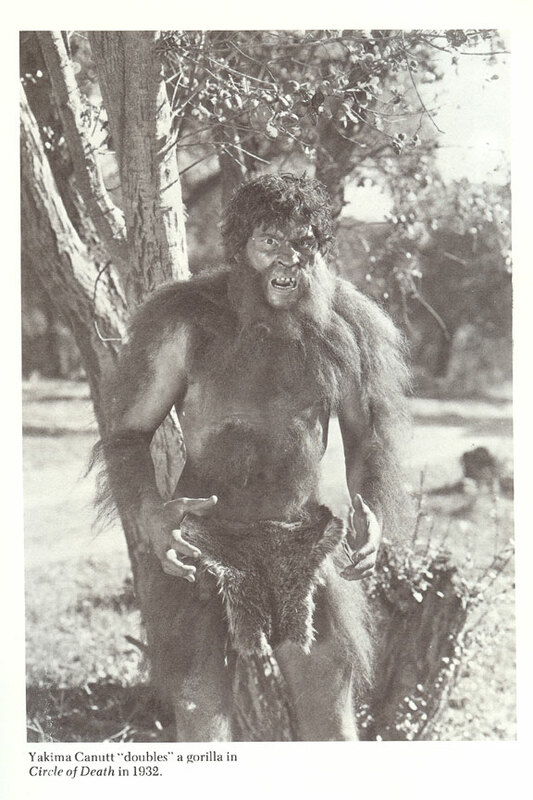 Yak, as he was affectionately called was no stranger to the world of simian cinema, having actually played an "ape-man" in the 1932 film The Circle of Death. You can read about more of Yakima's hair raising exploits in his autobiography, STUNT MAN. I gotta hand it to him, Yak makes one hell of a scary ape ! Thanks for the cool behind-the-scenes pix. 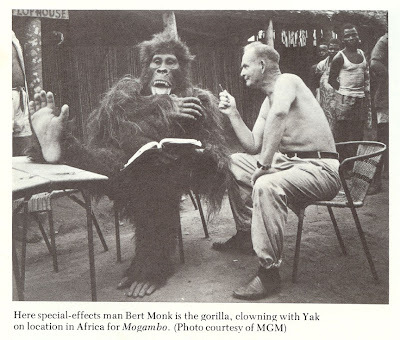 I just finished watching Mogambo on the most recent Warner Home Video DVD release (2006), and there's no shots of men in gorilla suits in this version. All the second unit Yakima Canutt footage is location 16mm material of the real deal. 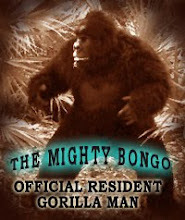 However there's a brief shot of a gorilla man in an obvious (but good!) suit in the trailer for the film that's included on the disc. 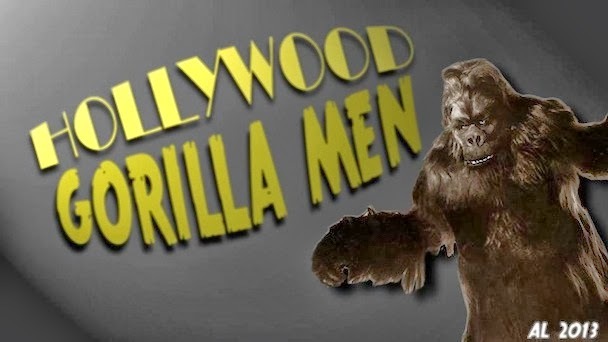 Do you know whether there's more than one version of the film in circulation, or if all the gorilla men footage was left on the cutting room floor before the original release in '53?